How are you? Are you having a good weekend? Today I went shopping! I really needed buy some things, but what I wanted to do was to go to Lush! I'm sure you've heard of Lush, they sell fresh handmade cosmetics. I bought a shampoo bar and a conditioner, the famous American Cream. I'll write a post soon about it! But today I want to write about lemon balm, everyone knows what is lemon balm, but what no so many people now is all the qualities that an infusion of lemon balm has and how to make the most of it. -It's anti stress: If you are stressed and you need to calm down lemon balm can appease you and recover your tranquility. 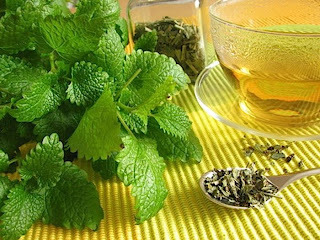 -Insomnia:When you're having a sleepless night, if you drink lemon balm, it relaxes you and induces sleep. You can also drink one half an hour before going to bed. Better if you combine it with valerian. -Heavy digestion: Lemon balm infusion after a meal eases digestion. It's a big help after you've had a big meal and you need to settle the stomach. 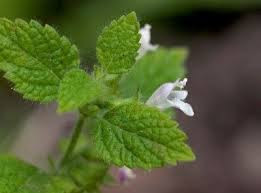 -For mosquitos: Crushing lemon balm leaves, and then rubbing them on the skin is a very good repellant for mosquitos. -Blood pressure: Can relax blood vessels, therefore is strongly recommended for lowering blood pressure. Lemon balm is amazing for the hair. My brother has dermatitis and dandruff, so before he has a shower he boils some lemon balm leaves (you can also use infusions if you want) and after washing his hair he uses it. Now he doesn't have hardly any dandruff. Although his scalp tents to be irritated, the lemon balm has been really beneficial for him. -Insects stings: In case of stings of mosquitos, bees, ants or other insects apply the juice of a leaf on the sting site. -Halitosis: If you suffer from halitosis, the best for get rid of it is chewing a fresh lemon balm leaf. -Face care: Lemon balm is used for the confection of creams for the face, specially for oily skins. The dry plant can be used for the confection of masks. Do you normally use lemon balm for any of this things? Do you know any other use? I enjoyed reading your post. At first I thought your post was going to be about a lemon flavoured lip balm! I have never heard of lemon balm before, I did some research to find out what it was because I was a little confused. I think it's great that lemon balm has so many uses, one day I might try it. Thank you very much! :) I do think that is important to do this type of post, to learn simple things, which are not difficult to try. I was thrilled to come across you blog on google+ blog it up. I have a lemon balm plant, that grows like crazy, and I have not been able to find much information on what I can do with it. Now all I need to learn is what an infusion is, hahaha. Thanks. hahahaha, maybe I'll write a post about infusions one day ;). Thank you very much! !